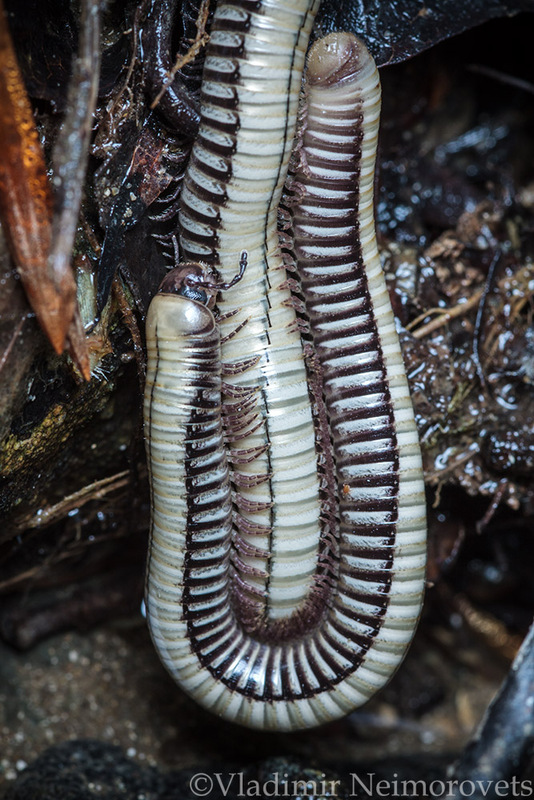 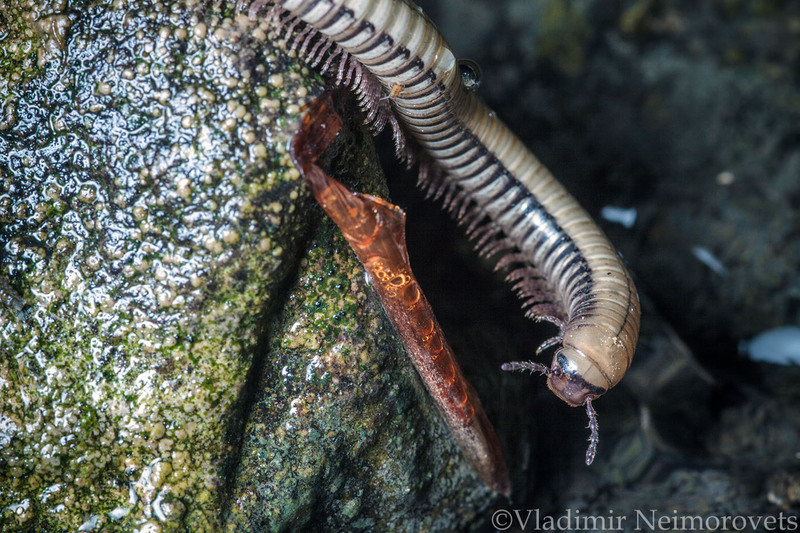 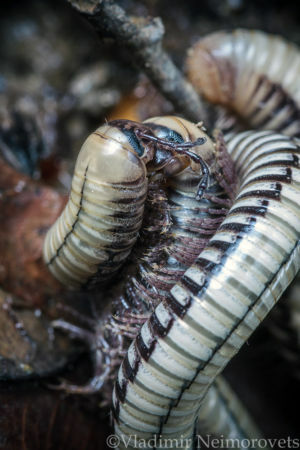 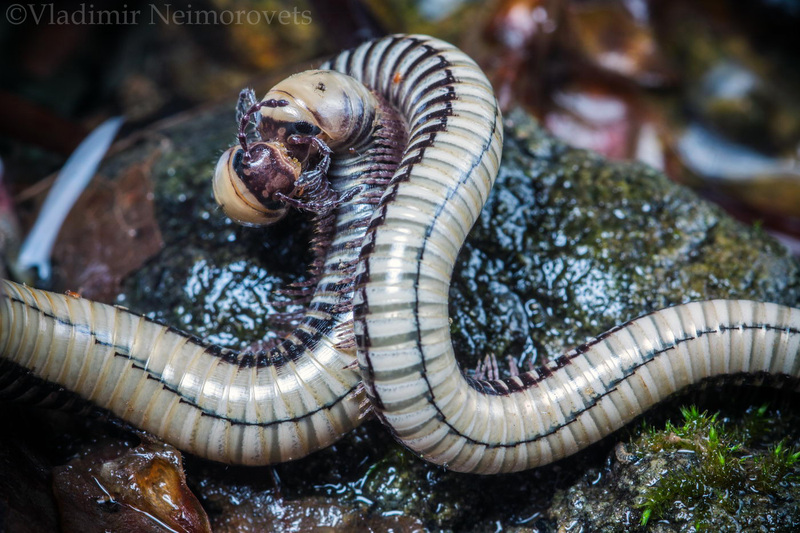 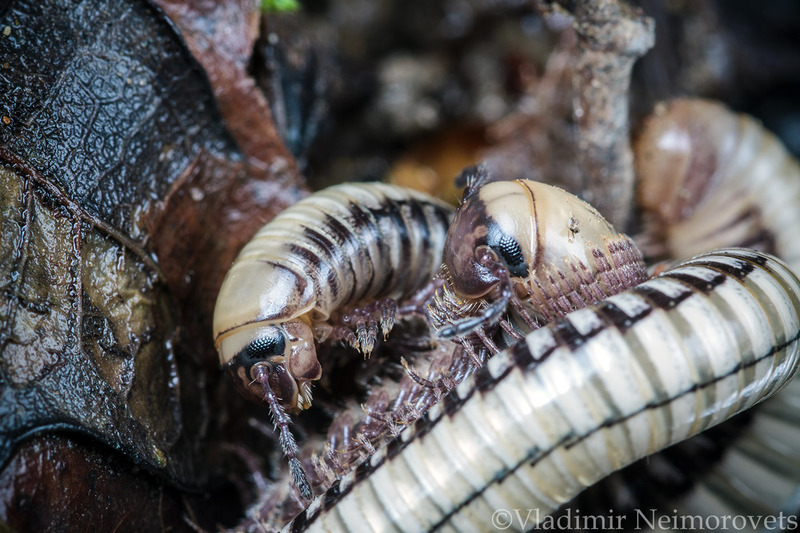 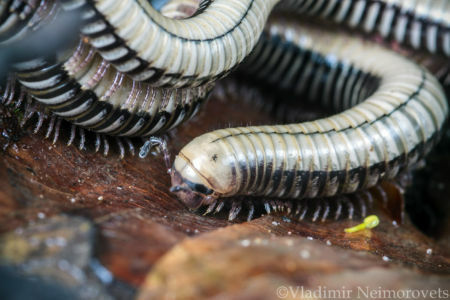 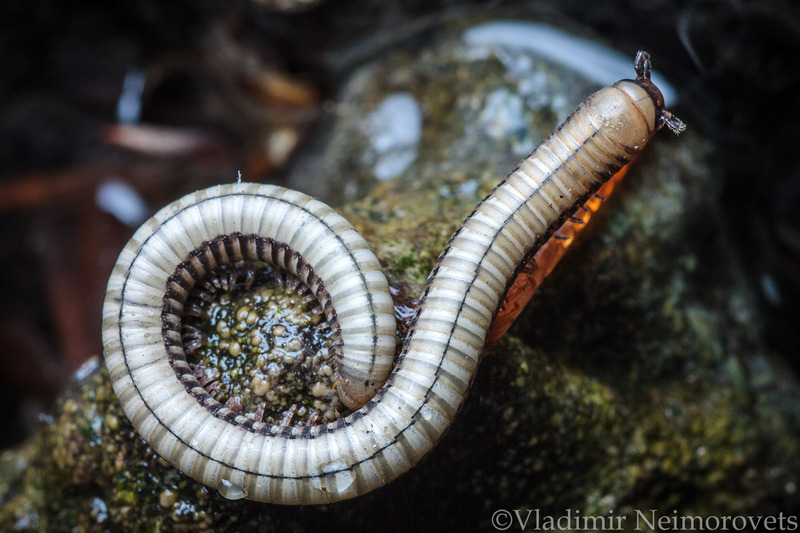 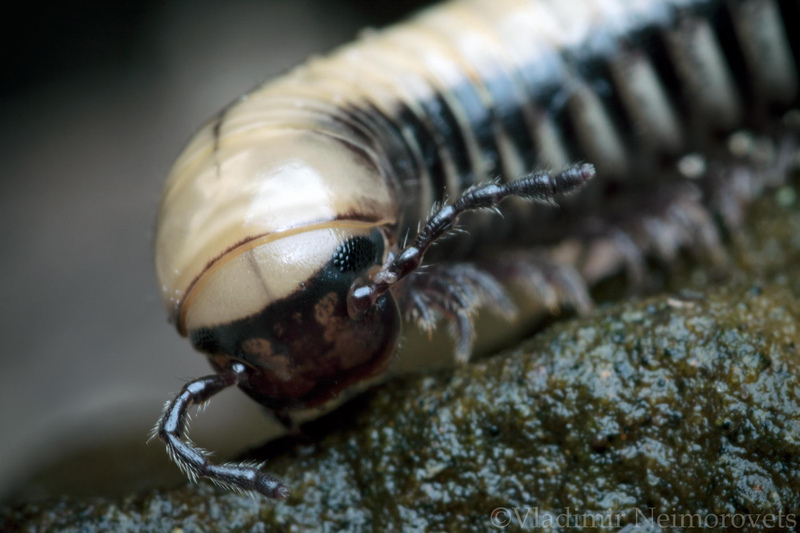 Pachyiulus foetidissimus (julid millipede) lives in the forests of the North Caucasus. 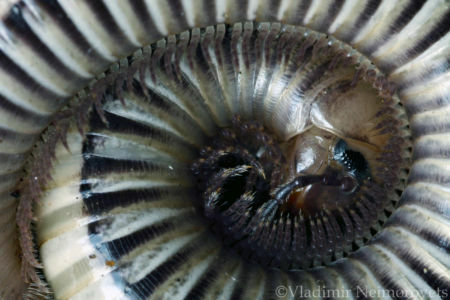 It is slow-moving, but if it is disturbed, it turns into a spiral. 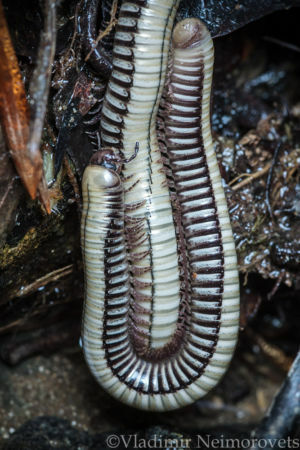 Simultaneously, out of the numerous openings of the special glands located in each segment of the body, a secret with a characteristic odor is poured out. 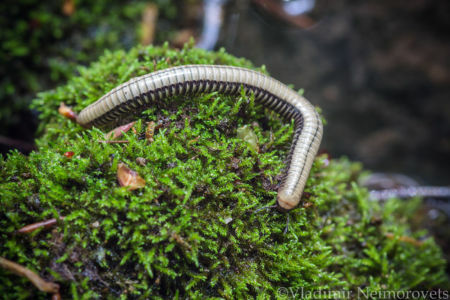 So this julida protects. 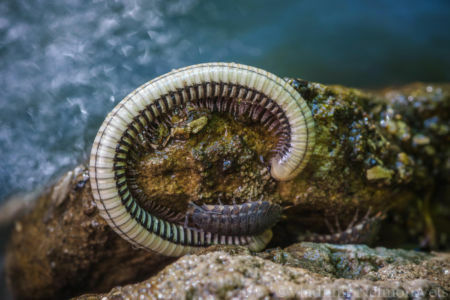 The smell is sometimes so strong that this centipede can be found at a considerable distance. 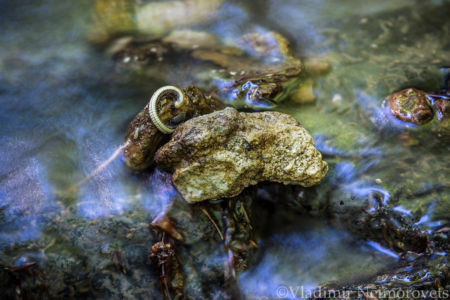 We can say that this smell is a kind of visiting card of the forests of the North Caucasus.